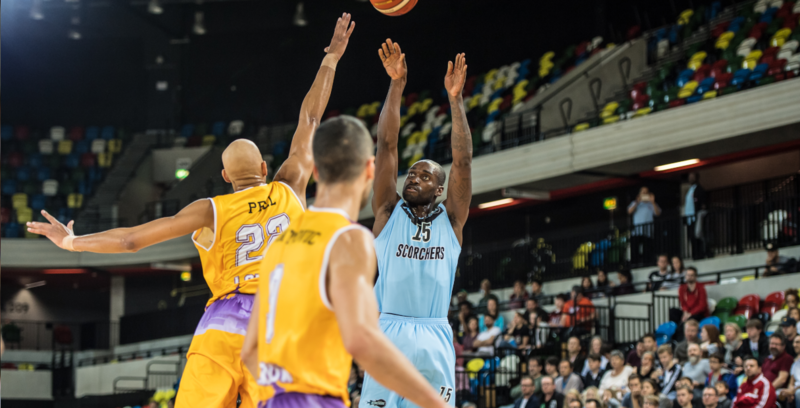 Surrey Scorchers have announced the re-signing of Tayo Ogedengbe for the 2018-19 BBL Championship season. Ogedengbe returns for his third consecutive season captaining Scorchers after joining the franchise as its inaugural signing. Last season saw Ogedengbe lead Scorchers to their most successful season yet, finishing fifth in the BBL Championship. Scorchers take on Ogedengbe’s former side in Glasgow Rocks, who knocked Scorchers out of the Play-Offs in May, in the opening game of the 2018/19 BBL Championship season. Before spending the previous three seasons under Creon Raftopoulos, he spent time with London Lions and Glasgow Rocks and has been a consistently high point-scorer. The forward scored his 1000th BBL field goal last season and averaged 13.2 points and 3.1 rebounds per-game. Coach Raftopoulos said: “I feel it’s great news to have our captain back in Surrey. “After a tough first season with the franchise we’ve had back to back years of improvement and Tayo has played a key role in that growth on and off the court.